Daddy brought us a record from Jackson from an Al Jolson movie. The song was ‘Sonny Boy,’ about a little boy who died, and we would play it a lot and get real sad. 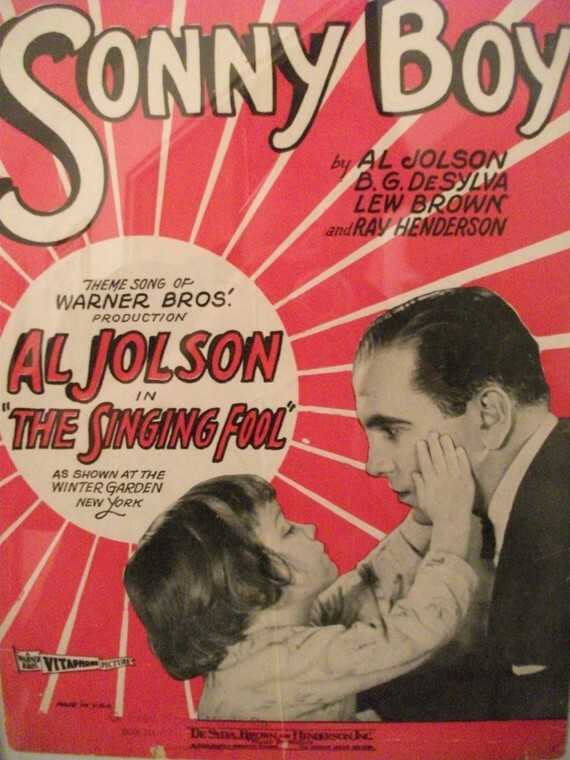 On the other side was Jolson singing ‘Rainbow Around My Shoulder,’ and that was a happy song. “We bought a piano, and Tiny started taking music lessons. I later too lessons for three years, but none of us became musicians. 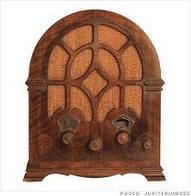 Radio began to appear in the 1920s, but they were not like today’s radios. They had a big horn, and you had to put on earphones to hear the scratchy sounds that came out. They mostly played music. We had one, but it was not very satisfactory. “Sunday afternoons there was not much to do, so Daddy would take us for a ride and to get a drink or ice cream cone or an Eskimo pie. Sometimes we would get candy bars. Mary always wanted a Baby Ruth, but I liked Milky Ways and Snickers. 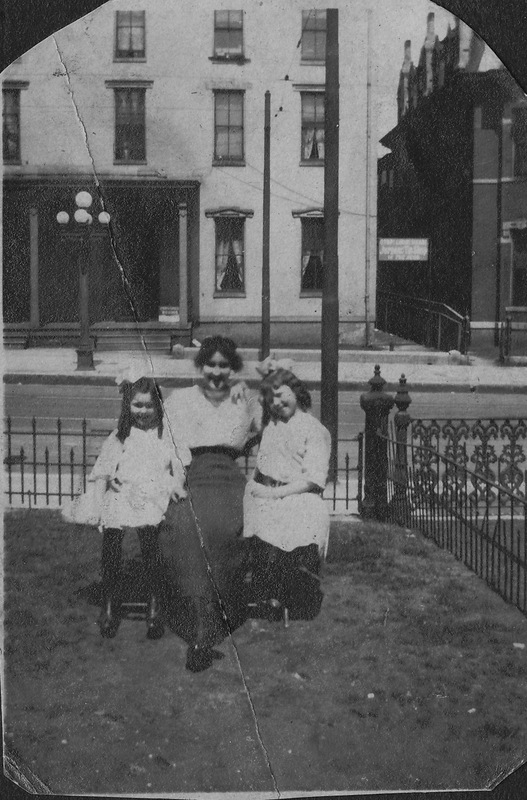 There was an ice plant on Fulton Street, where the Greenwood Utilities office is now, and also an ice cream factory. Every Sunday we would stop by there after Sunday School and get a bucket of ice cream for Sunday dinner, which was always special. “We always had birthday parties, and mine was usually something to do with Easter since my birthday fell around that time. 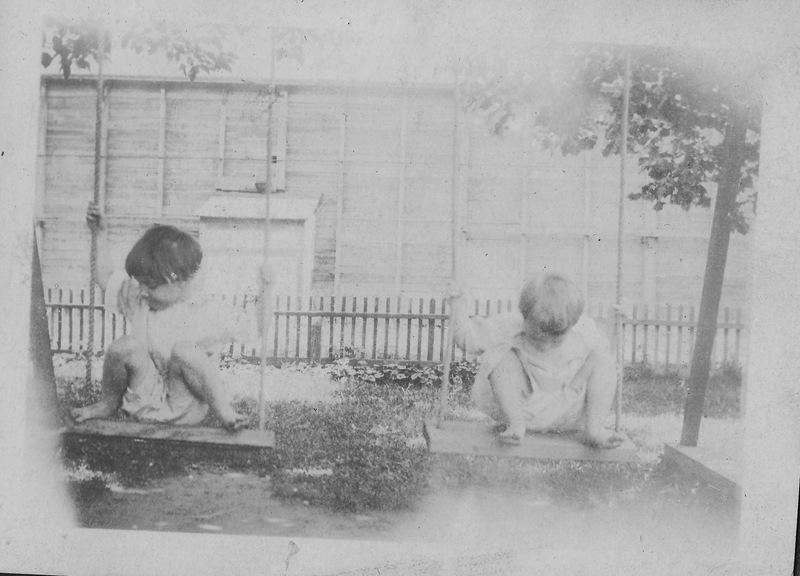 Mama used all sorts of ideas to make them fun, and I remember on my seventh or eighth birthday she hung a sheet up, and the children fished for Easter favors. One time for Tiny’s birthday she put little baby dolls in blankets on a clothesline and the children chose them for favors. 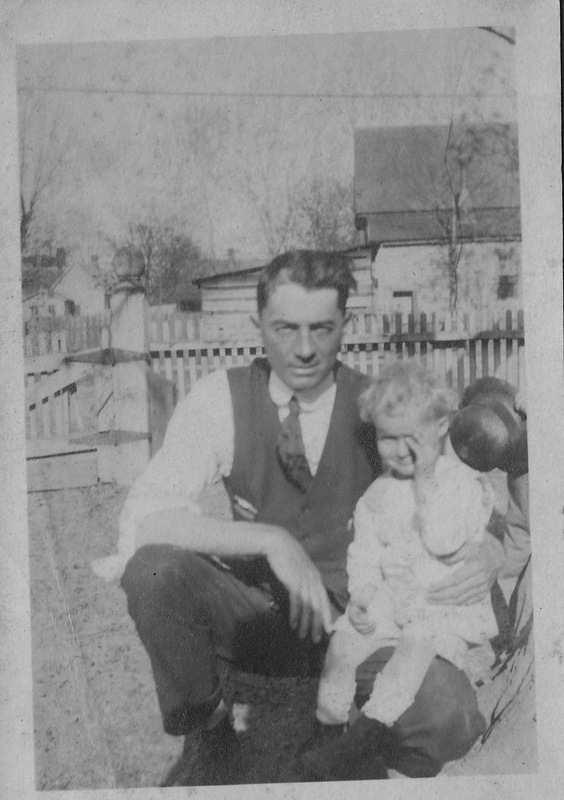 “That was the party which almost broke up when Buddy Stott fought in the ditch across the street with a boy named John Seng, who had spotted him as the only boy at the party and called him a sissy. All of the girls lined up to watch them roll in the ditch. Buddy had a bad temper and was always getting into a fight. Victrolas and cabinet radios, Sunday afternoon rides for ice cream. 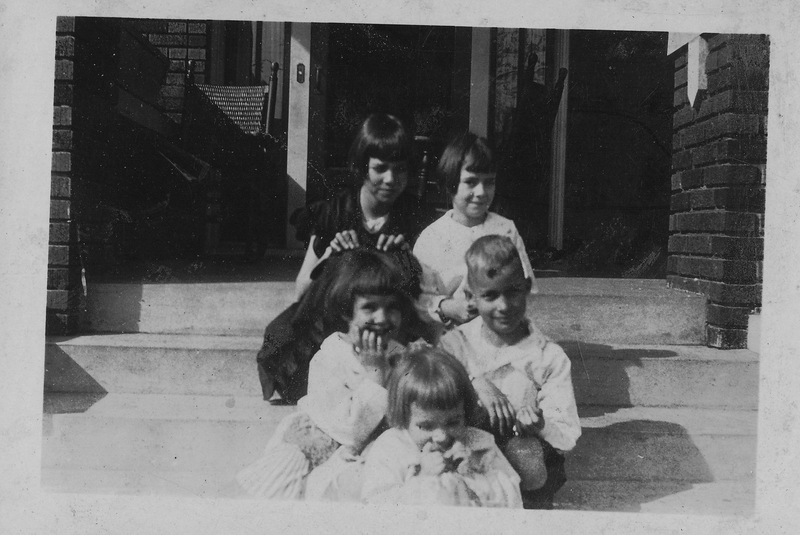 Imagine three little girls in their Sunday best, piled in the back of a Hupmobile with no seat belts, anticipating their arrival back on Strong Avenue for Sunday dinner. My suspicion is that Sara was in the ice cream before Jessie had even put the beans on to simmer. She had the most insatiable sweet tooth of anyone I’ve ever known (yes, Emily, even more than you) and believed that there was no food that could not be improved with a spoonful or six of sugar. She would hop out of bed at 3 in the morning to get in the kitchen and begin baking. Baking, not cooking…..There were so many mornings when we awoke to the aroma of chocolate pies or red velvet cake or bake sale cupcakes. When I set up my first apartment, Sara carefully typed out her favorite recipes for a cookbook that I still have. There are maybe 4 recipes for “real” food and dozens of cookies, cakes and pies. It’s a wonder Cathy and I weren’t diabetics in diapers. Uncle Roy and the Stott clan are a long story for another day. Suffice it to say that if Buddy was devilish, his father was a saint. He saved Jessie’s family and was a gentleman in every way. Much more on Uncle Roy, Big, Rena, Buddy and John later. Ed. note: Milky Way bars were invented in 1923 to capitalize on the milk shake craze. Snickers didn’t come along until 1932, but I imagine Sara snatched the first one in Greenwood. She later became a Goo Goo Cluster fiend.